When The Ph.D. 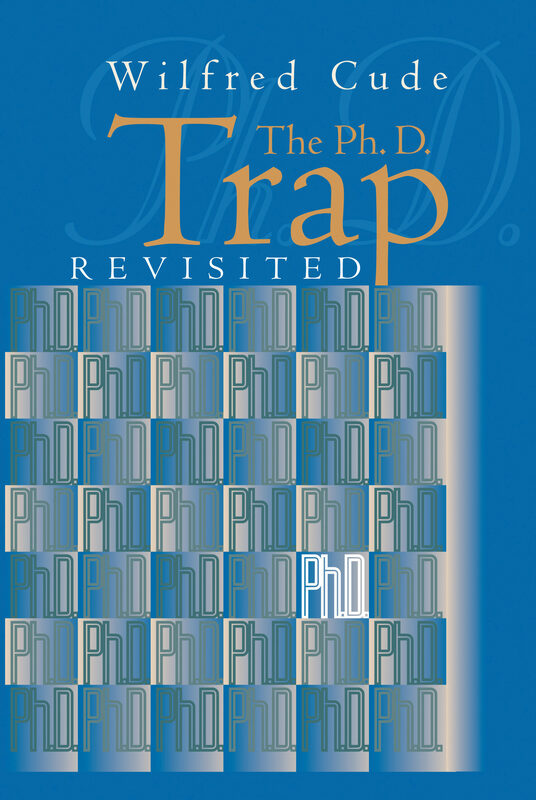 Trap was first published in 1987, it hit academe like a bombshell. Wilfred Cude dared to pull back the veil of graduate school life to expose the harsh realities of modern advanced study. Using statistics, academic history, and diverse intellectual traditions, Cude revealed the Ph.D. program in most disciplines to be savage, mechanical, and cruel - an exploitative construct that often frustrates legitimate intellectual inquiry, shatters viable career expectations, and mangles personal and professional relations. In the years since, an outpouring of books, articles, and statistical data delineating serious weaknesses in contemporary higher education has provided a wealth of evidence supporting Cude’s original thesis. The Ph.D. Trap Revisited amplifies Cude’s arguments, with a synthesis and analysis of new data and information. Topics examined include the grad school numbers game, the rogue professor, muddles in methodology, the perils of apprenticeship, ethics and economics, existing alternatives, and recommendations for change. In an age of increasingly unchecked proliferation of the Ph.D. degree throughout academic institutions in the western world, Cude’s work is a tonic.